FPI’s briefing provides a critical assessment of four fundamental assumptions that shape the proposed budget and state fiscal projections for the following three years. 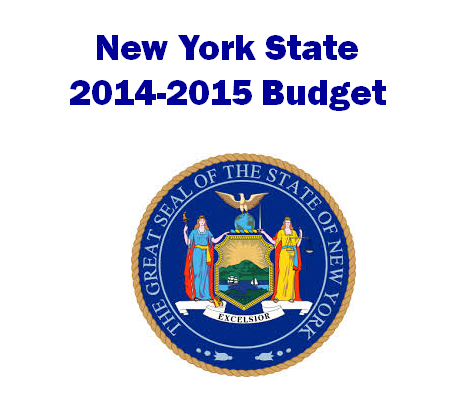 These assumptions deal with the preferred size of New York government, the optimal growth rate of state spending, the potential for budget savings related to government consolidation, and the linkage between taxes and New York’s economic performance. The briefing provides a different analysis of the 50-year trend in state spending and taxation than the one the Governor presented in his budget message. On the heels of six years of austerity budgets dating to 2008, the Executive Budget proposes another year of spending cuts in a host of areas, and lays out a multi-year plan of steep spending cuts that will extend the austerity measures for three more years, thus completing an “austerity decade” for New York. A main purpose of the multi-year expenditure cutting plan is to create the appearance of a budget “surplus” in order to justify multi-year tax cuts that grow to more than $2.5 billion annually. In assessing the proposed tax cuts, FPI finds that the property tax freeze is ill-conceived and will disproportionately benefit wealthier localities, and that the homeowners’ and renters’ personal income tax credits are ineffectively targeted. FPI puts it analysis of the proposed business tax reductions in the context of an already declining corporate share of state tax collections, and is particularly critical of the proposed bank tax repeal and its replacement that is likely to mean a sharp reduction in state tax payments by the largest New York City banks. FPI notes the irony that, given the state’s pronounced income polarization in recent years, the budget proposes to reduce the estate tax by 40 percent at a cost of $800 million annually, most of which will benefit 200 super-wealthy households. In response to hype about high income households fleeing New York for lower tax havens, FPI cites IRS data showing New York’s rising national share of households with incomes of $1 million or more. Most major areas of state education investment and human services spending have seen sharply reduced funding commitments during the past six years of austerity budgets. State grades K-12 local education aid has declined as a share of total school spending to its lowest level in 65 years, with state foundation aid $5 billion behind where it would be had the state honored its 2007 legislative response to the Campaign for Fiscal Equity lawsuit. State aid to SUNY has declined by over 40 percent in real terms since the start of the Great Recession. State funding for human service agencies dropped 12 percent over the past three years. At a time when a growing number of local governments are fiscally stressed, the proposed budget holds aid to municipal governments flat for the next four years despite an inflation-adjusted 75 percent reduction in such aid since 1980. FPI’s briefing provides an overview of economic conditions in the Empire State and suggests that budget-makers do more to respond to those conditions. Although New York State has fared better than many states during the Great Recession and the weak recovery, income gains have been concentrated at the top and pronounced economic hardships have taken a toll on millions of New Yorkers. The indicators are disturbing: continued high and prolonged unemployment; high mortgage debt burdens; and faltering wages, incomes and living standards, precipitating a rise in poverty, hunger, homelessness, and economic insecurity. FPI suggests several budget, tax and economic policy ideas that New York’s leaders should consider to address this heightened economic insecurity and the growing income polarization that has spawned that insecurity. Four more years of budget austerity will only serve to further exacerbate economic insecurities.